Select your ideal contractor from our list of qualified members! Get inspiration for your project by viewing our galleries! Welcome! The Indiana Decorative Concrete Network was created to showcase the artistry of local craftsmen and to connect them with potential customers. The photos on this site depict concrete projects installed by our member contractors throughout the Hoosier State. We invite you to use the IDCN’s articles & information as resources for learning all that decorative concrete has to offer. The term “decorative concrete” includes colored concrete, stamped concrete, stenciled concrete, concrete toppings, polished and/or stained concrete floors, concrete walls, exposed aggregate, concrete countertops, and fire pits. In short, anything other than plain concrete! In 2014 my wife and I decided to remodel the patio at our house in Indianapolis. 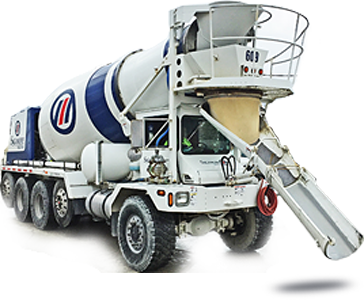 We asked the Indiana Decorative Concrete Network to refer a contractor, and we have been very satisfied with the results. The contractor removed an existing plain concrete slab, replacing it with colored, stamped concrete. The patio complements both the color and the texture of our limestone exterior house. All in all, we couldn’t be more satisfied with the outcome of the project.